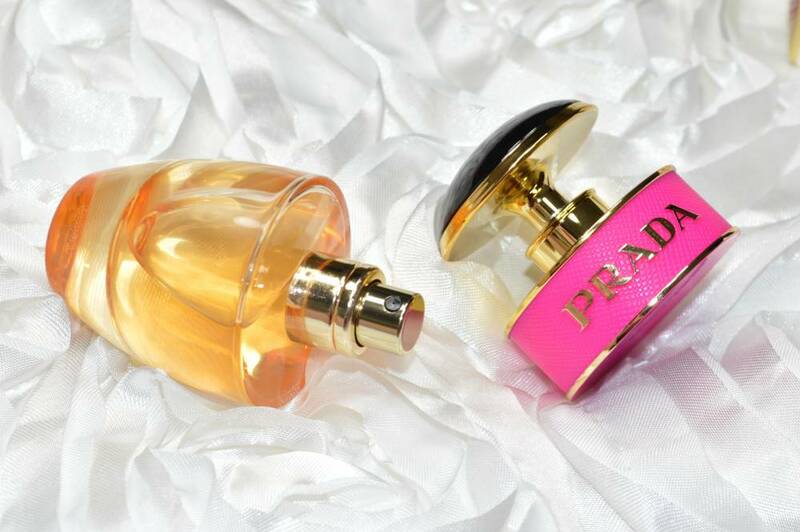 Prada Candy Eau de Parfum Review - Click to find out more..
Prada Amber is one of my all time favourite perfumes, and I decided to purchase a bottle of Prada Candy after getting a sample in an online order. 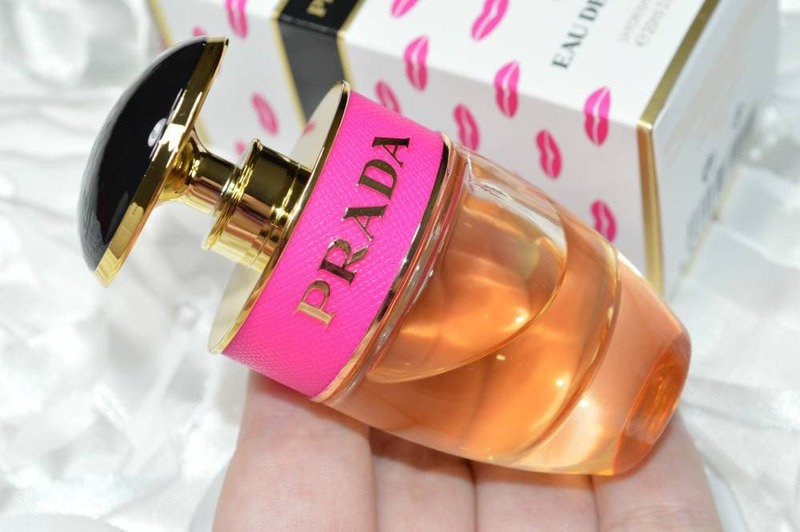 Prada Candy is quite an expensive fragrance, so I decided to purchase the full size when I spotted that they’d recently launched a purse-friendly 20ml bottle. The Prada Candy Eau de Parfum contains top notes of musk, an heart of benzoin and a base of sweet caramel. With a name like Candy, it was always going to be a sweet scent but it’s actually a little warmer than I expected it to be due to the caramel. I love the bottle design of the miniature bottle, as it looks identical to the full size bottles except a little smaller but 20ml is still a decent amount of fragrance and it’s the perfect size for carrying around in your handbag or taking away on holiday. Prada Amber is completely different to Prada Candy, as Amber is a stunning woody scent which is more of a statement scent but Candy is a softer, sweeter fragrance in comparison. The bottles for Amber and Candy couldn’t be more different, but they both are gorgeous scents. I would describe Candy as being a younger type of scent, and if you like Britney Spears Fantasy or Juicy Couture’s Viva La Juicy, I think you’d really like this fragrance but I couldn’t imagine my mum wearing it as it’s so sweet but the branding for Candy is very much targeted towards the younger generation although it’s pretty pricey considering its target audience. In my opinion, Prada Candy is more of a day scent and it’s not particularly long wearing at around the three to four hour mark but I love it so I don’t mind reapplying, but Prada Amber is incredibly long lasting in comparison. Overall, I am really pleased that I bought the Prada Candy Eau de Parfum as it’s a gorgeous, girly fragrance especially for Summer.